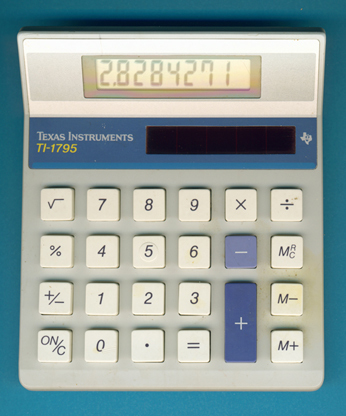 Just a minor design variation to the original TI-1795 introduced four years earlier. Dismantling this TI-1795 manufactured in August 1988 by Compal Electronics in Taiwan reveals a rather simple construction based on probably a Sharp single-chip calculator circuit. In 1991 the size of the solar cells was reduced and production of the TI-1795 was shifted to Thailand.